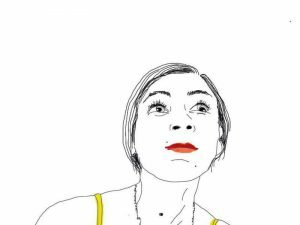 About - Lucia Lamacchia: art director, graphic designer, illustrator. I currently work in my studio located in La Spezia, previously I worked as resident art director and illustrator at Radio24, IlSole24Ore in Milan. I began my career at F.C. Internazionale – La Sterpaia by Oliviero Toscani, side by side with Roberto Carra, in Milan. For the Salone del Mobile 2017 I worked as art director, graphic designer and illustrator with Ron Gilad, the newly appointed creative director of Danese Milano – Artemide. I graduated in Visual and performing arts in 2007 at the Academy of fine Art of Bari (110/110) and with a Master Degree obtained in 2010 in Communication Design at ISIA – Higher Institute for Artistic Industries, of Florence (110/110).